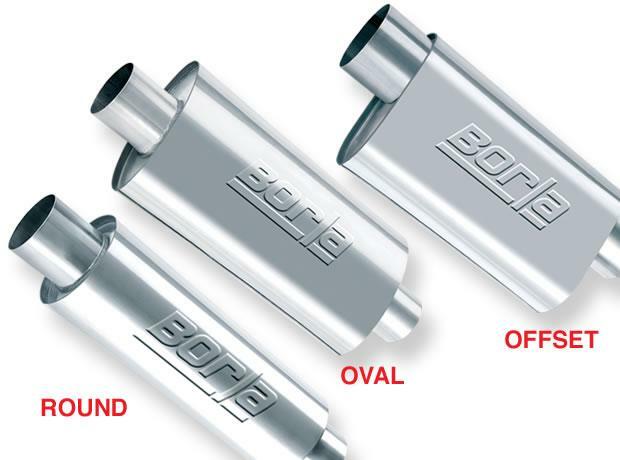 Borla XR-1 Sportsman Racing Mufflers are high quality austenitic stainless steel. Patented, race-winning XR-1 Raceline technology. Oval – BORLA’s #1 selling racing muffler. Satisfies the needs of most racing applications because it is the lightest, most compact, and highest flowing racing muffler in its class and at a competitive price. The choice of winners from top Mustang drag racers to Baja Off-Road trophy trucks. Round – Made with the same patented, flow through design as the XR-1 Sportsman Oval. This Muffler is 5 inches in diameter and 15 inches long. 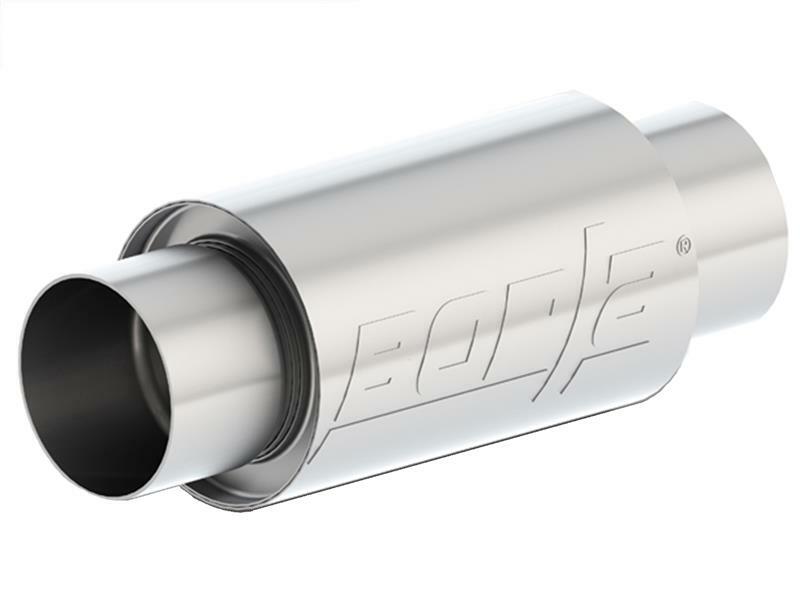 Designed for door car/ roadster applications that require a compact round muffler.